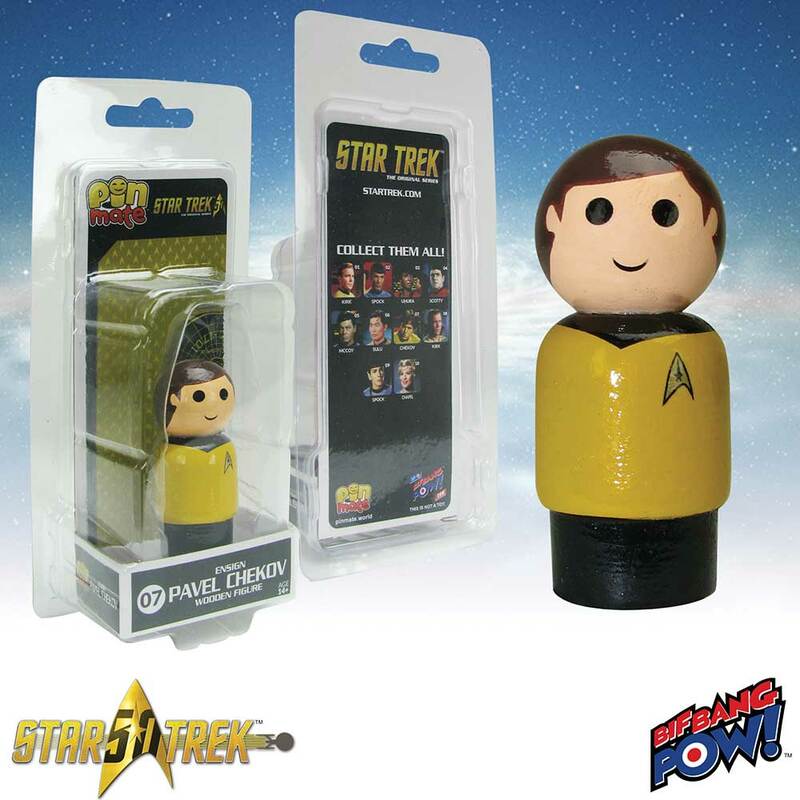 @BifBangPow: Star Trek: TOS Uhura and Chekov Pin Mate™ Wooden Figures Now In Stock! Star Trek: TOS Uhura and Chekov Pin Mate™ Wooden Figures Now In Stock! 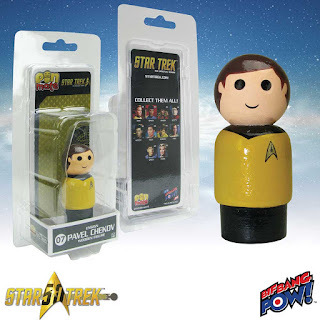 Beam the new Star Trek: The Original Series Lieutenant Uhura and Ensign Chekov Pin Mate™ figures from Bif Bang Pow! directly into your collection, now in stock at Entertainment Earth! 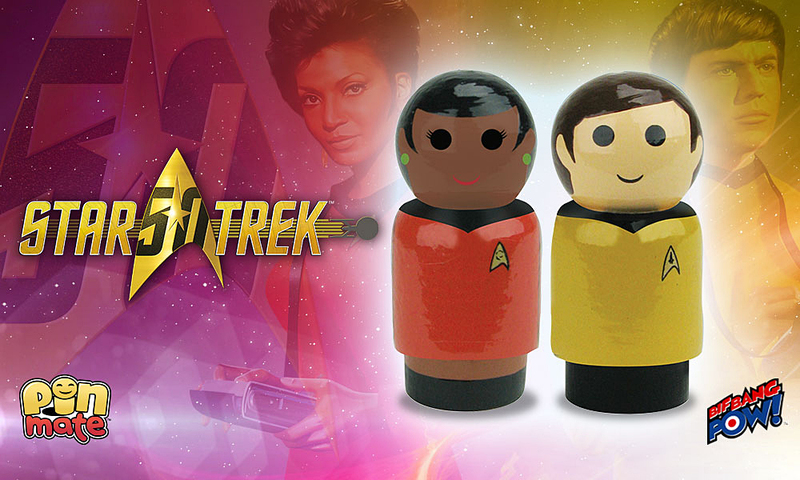 These 2-inch wooden Pin Mate™ figures celebrate fan favorites Lieutenant Uhura and Ensign Chekov from Star Trek: The Original Series. Designed with a retro-style, these Pin Mate™ figures showcase the iconic characters in their classic uniforms with 360-degree artwork that includes hand-painted elements with decal graphics. 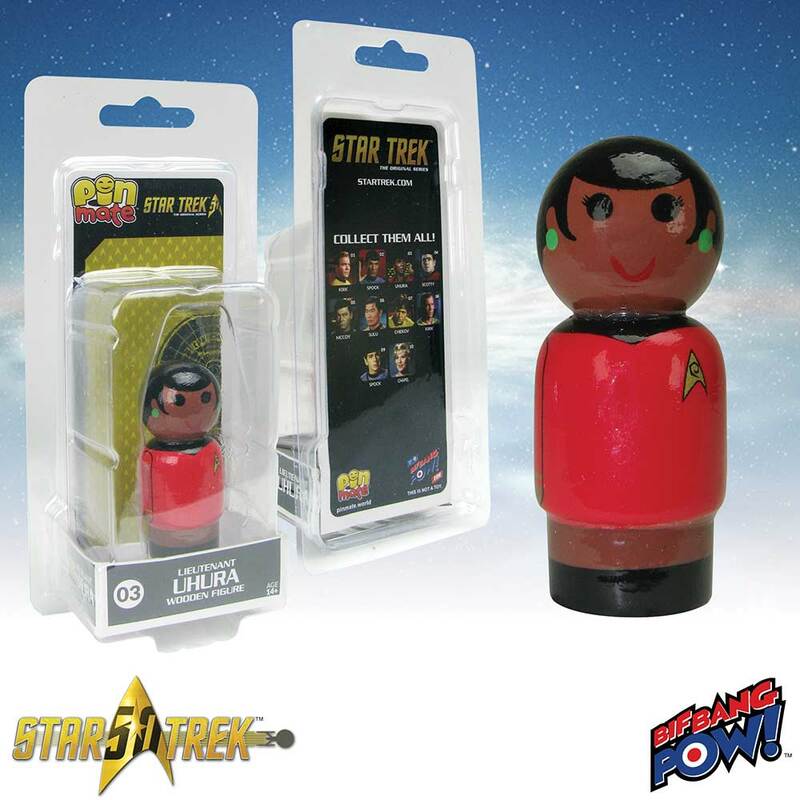 Uniquely numbered on the bottom of the figure and on the packaging, the Star Trek: The Original Series Lieutenant Uhura Pin Mate secures its place as number 3 in the series. Numbered for true collectability, the Star Trek: The Original Series Ensign Chekov Pin Mate takes its place as number 7 in the series. Chekov and Uhura are must-have companion pieces to the rest of the Star Trek: The Original Series Pin Mate™ figures: Captain Kirk, First Officer Spock, Chief Engineer Scotty, Dr. McCoy, and Lieutenant Sulu (each sold separately) – all available at Entertainment Earth. Order yours today!